Founded in 2004 in Milan (Italy) by guitarist/composer Francesco Zago and AltrOck Productions mainman Marcello Marinone, Yugen (a core concept of Japanese aesthetics that can be roughly translated as “profound grace and beauty”) took the progressive rock scene by storm with the 2006 release of their debut album, Labirinto d’Acqua – a supremely accomplished slice of chamber rock following in the footsteps of the original Rock in Opposition movement. Their second album, Uova Fatali, came two years later, and was based on music composed by Stormy Six’s Tommaso Leddi; while their third effort, Iridule (2010), was widely hailed as a masterpiece of the RIO/Avant subgenre. An ensemble rather than a conventional band, Yugen revolve around a core group of Zago, keyboardist Paolo Ske Botta (often mentioned in this blog for his work as AltrOck’s in-house graphic artist) and pianist Maurizio Fasoli, joined in 2008 by reedist Valerio Cipollone, and augmented by a number of high-profile guest artists (including mainstays of the US Avant Progressive scene such as Dave Kerman, Dave Willey, Elaine DiFalco and Mike Johnson, and Guy Segers of Univers Zéro fame) In September 2011, almost exactly one year after Iridule’s release, the band appeared at the fourth edition of the Rock in Opposition festival, organized in the southern French town of Carmaux. Their performance as a seven-piece –a short excerpt of which is featured in Adele Schmidt and José Zegarra Holder’s documentary Romantic Warriors II – was captured on CD with the assistance of Orion Studios owner Mike Potter, and released at the tail end of 2012 with the title of Mirrors. Though some may have wondered about Yugen’s ability to recreate Zago’s astonishingly intricate, painstakingly orchestrated compositions as a mere seven-piece rather than as an ensemble of up to 18 musicians (as in their studio albums), any doubts will immediately be dispelled by the sheer quality of the performances recorded on Mirrors. In spite of the constraints – such as the allegedly short time dedicated to rehearsal – the band as a whole handle the complexities of the music with remarkable flair, without sounding cold or clinical as the highbrow quality of the material might suggest. While Zago’s main sources of inspiration as a composer (as pointed out by Sid Smith in his excellent liner notes) lie in both Renaissance and 20th-century classical music, his earlier rock roots often surface. His dense guitar riffs provide a backdrop for the constantly shifting dialogue between reeds and keyboards, bolstering the impeccable work of Michele Salgarello and Matteo Lorito’s rhythm section – which tackles daunting tempo changes with admirable composure. The music blends sharp angles and smooth curves, flowing naturally even at its most intricate, with melody lurking in the most unexpected places and revealing the unmistakable Italian imprint of this quintessentially cosmopolitan outfit. The almost 60-minute album features 10 tracks drawn from Labirinto d’Acqua and Iridule, rearranged so as to adapt to the more rigid configuration of a live band. The longest, more intense compositions are concentrated in the second half of the album, which is introduced by a stunning version of Henry Cow’s iconic “Industry” (from the English band’s final release, 1979’s Western Culture). With their deeply intellectual titles reflecting the nature of the music, the compositions are arrestingly complex, though with a sense of organic warmth that is sometimes lacking in the production of highly celebrated bands belonging to the same movement. Introduced by the dramatic drums and piercing, sustained guitar of “On the Brink”, the set unfolds with two tracks from Labirinto d’Acqua. The shorter “Brachilogia” weaves a sinuous, slightly dissonant tune, beefed up by guitar riffs and high-energy drumming, in which clarinet and marimba share the spotlight, interspersed by subdued piano passages; while “Catacresi” fully deploys Paolo Botta’s arsenal of keyboards, ranging from the sharp whistle of the synth to airy, atmospheric passages that would not be out of place on a Genesis album, creating a sort of cinematic tension. The instruments at times converge in perfect unison, at others pursue their individual paths, though with a constantly perceptible sense of inner discipline. After the brief respite of “La Mosca Stregata”, “Overmurmur” barges in with an almost strident, apparently chaotic development, each instrument thrown in sharp relief, gradually mellowing out towards the end. The aforementioned “Industry” renders the martial, intense mood of the original, though softening its abrasive quality and spotlighting the deep, slightly hoarse rumble of the organ. On the other hand, “Cloudscape” reveals a different facet of Zago’s creative inspiration, its 10 minutes a masterpiece of skillfully handled atmospherics that paint a breathtaking sonic picture of the title. The track develops fluidly and elegantly, its sounds beautiful and melodic albeit not in a conventional, mainstream sense, slowing down almost to a whisper before the end. In the short, entrancing “Ice” – originally conceived as a showcase for Elaine DiFalco’s distinctive contralto, with lyrics by Nobel Prize winner Seamus Heaney – the vocals are replaced with a wistful clarinet line redolent of Debussy, preparing the listener for the one-two punch of “Becchime” and “Corale Metallurgico”. The former is the kind of composition that is likely to send fans of melodic prog running for the exits, and makes indeed for demanding listening. Unabashedly cerebral and gloriously intricate (and twice as long as the studio version featured on Iridule) its multiple, angular twists and turns and bristling sound effects evoke the squawking of the chickens referenced in the title (becchime means “chicken feed” in Italian). Also true to its title, album closer “Corale Metallurgico” conveys a powerful industrial feel, with peaks of intensity ebbing into rarefied pauses, and moments of almost unbridled chaos suddenly morphing into a dynamic flow. Presented in a visually stylish package with outstanding artwork and photography (courtesy of Paolo Botta, Lutz Diehl and Alessandro Achilli), as well as Sid Smith’s thought-provoking liner notes, Mirrors captures one of the foremost standard-bearers of contemporary cutting-edge progressive rock at the very height of its creative powers. Although the music may not always be what one would term accessible, even staunch followers of the more traditional branches of prog might find something to appreciate in the album’s pristine beauty. An absolute must for fans of RIO/Avant –Prog and chamber rock, Mirrors is sure to go down as one of the standout releases of 2012. Subtilior (Latin for “more refined”) is the name adopted by Michele Epifani, keyboardist and main driving force of Italian “retro-prog” band Areknamés, for his first solo outing. 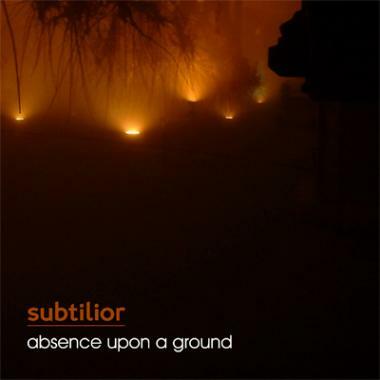 With its rather obscure reference to a musical style of the late Middle Ages, called ars subtilior, the project hints at a highly complex, sophisticated offer, and indeed – very much in keeping with AltrOck Productions’ consistently high level of quality – this is what Absence Upon a Ground delivers. Though Epifani is credited as composer on all the 16 short pieces featured on the album, Absence Upon a Ground is anything but one of those ubiquitous (and often tiresome) “solo pilot” projects that clutter the oversaturated progressive market. It is instead very much an ensemble effort, to which each of the 12 musicians involved contributes his unique expertise. 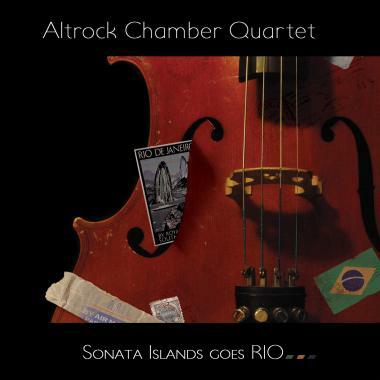 In some ways, this album is a perfect complement to Altrock Chamber Quartet’s Sonata Islands Goes Rio, as both represent a fusion of traditional chamber music and progressive rock that demands a lot from the listener, but will offer rich rewards to those who will have the patience to give it their full attention. Due to Absence Upon a Ground’s peculiar structure, a track-by-track analysis would be hard to conduct, if not actually counterproductive. The album features two main multi-part suites – the almost 30-minute “Absence”, and the 15-minute “Upon a Ground”. Epifani, drummer Luca Falsetti and guitarist Stefano Colombi perform on all the tracks, while the other artists appear on either one or the other composition. Valerio Cipollone and Maurizio Fasoli of Yugen are among the performers on “Absence” (Epifani guested on both Le Uova Fatali and Iridule, the second and third release of the Milan-based outfit). In true chamber-rock tradition, the instrumentation blends rock staples such as drums, guitar and bass with reeds (clarinet and saxophone), strings and the haunting chimes of marimba and vibraphone, which combine seamlessly with the warm, fluid sound of the grand piano. Epifani’s signature Hammond organ, though credited in the liner notes, is barely perceptible, while the reeds, strings and percussion form the most readily noticeable layer of the sound’s fabric. “Absence” (which, as the title suggests, is meant to be a reflection in musical terms on the topic of absence) comprises 13 short movements – all around the 2-minute mark – that are meant to be taken in as a whole. The chamber feel is very strong in the stately pace and often sparse texture of the music, or in the occasionally lively, conversation-like interaction between different instruments. Dissonance is used sparingly, and hints of melody – though handled in rather unconventional fashion – surface to bind the parts of the suite together. Sudden flares of intensity leave room to rarefied, ambient-like moods with a meditative, almost autumnal feel. The overall effect is one of understated elegance, though with an underlying density that makes repeated listens essential. The 15-minute “Upon a Ground” features three longer, relatively self-contained sections, characterized by a more cinematic feel that leans more towards the RIO/Avant-Prog side of things. Mainstays of the genre such as sax and cello, as well as eerily intriguing electronic effects, replace the lyrical sounds of clarinet and violin, and the texture often feels looser, almost improvisational – in that deceptive fashion typical of Avant-Prog that effectively disguises a high degree of compositional discipline. All the three movements alternate atonal, knotty passages, with bursts of tenor sax and underpinned by the steady, mournful drone of the cello, and more subdued moments sprinkled by the gentle, tinkling sound of the mallet percussion. If I had to level some criticism at Absence Upon a Ground, I might say that the album may come across as slightly cold and detached – a not uncommon problem with a lot of Avant/chamber rock. On the other hand, the sheer quality of the performances and the superior compositional skills involved are undeniable, and will delight those who privilege this particular manifestation of progressive music. Highly recommended to lovers of RIO/Avant prog and chamber music – as well as any open-minded listeners – the album is, however, unlikely to appeal to those who like a more “mainstream” approach to progressive rock. As usual for AltrOck releases, the visual aspect of the packaging (with Paolo Ske Botta in charge of the artwork) is top-notch, adding to the album’s interest value. As my readers will have noticed, this blog generally deals with music that, in one way or the other, belongs to the rock universe. However, the album that will be reviewed in the following paragraphs (as the ensemble’s own name aptly points out), while conceived as an homage to a movement in whose name the word is prominently featured, cannot by any stretch of the imagination be described as rock. AltrOck Chamber Quartet is the brainchild of gifted flutist and composer Emilio Galante, known for his work with avant-jazz ensemble Sonata Islands (hence the album’s title), who is here assisted by Valerio Cipollone (also a member of Yugen, one of the finest modern outfits in the RIO/Avant vein), Bianca Fervidi and Andrea Pecolo. The album’s witty cover artwork (a brilliant concept by AltrOck resident graphic artist Paolo Ske Botta), showing a violin adorned by Brazilian-themed images, plays on the possible misunderstanding of the word RIO by those unaware of the acronym’s meaning. Composer Giovanni Venosta, who was responsible for the transcription of three of the original compositions featured on the album, revisits his first experiences with the Rock in Opposition movement in the album’s foreword (offered also in an English-language version, with an eye for AltrOck’s growing international following). Recorded in February 2012 and released a few months later, Sonata Islands Goes RIO might be called (at least in part) a rather highbrow take on a very popular rock product such as the tribute album. Indeed, half of the 10 tracks on the album reinterpret well-known RIO/Avant compositions, while the remaining five are the work of modern Italian composers (including Galante himself) who have been influenced by the subgenre’s distinctive modes of expression. In true chamber tradition, the music is performed by a very limited number of instruments – flute, piccolo, clarinet, violin and cello – ruling out the presence of percussion, guitars or keyboards (with the exception of Massimo Giuntoli’s “Land Arf”, on which the composer himself guests on piano). While at first the result is very intriguing, even fascinating, those who are not chamber music devotees may find things a bit heavy going after a while – even if the album, at around 48 minutes, is by no means excessively long. For the chamber-music novice, the most approachable tracks are definitely those in the first half of the album, especially the three Fred Frith compositions, “Snake Eating Its Tail” (transcribed by renowned clarinetist Mauro Pedron), “Norrgarden Nyvla” and “Hands of the Juggler” (both transcribed by Giovanni Venosta). In the second, Galante’s flute adopts a particularly assertive, almost harsh tone, while the first makes the most of the lively dialogue-like interplay of the reeds, and the third skillfully shifts from stately melody to dissonance. Galante’s revisitation of Thinking Plague’s “Love” – aptly titled “Rethinking Plague” – conveys the elaborate angularity of the Denver band’s sound, while adapting it to a somewhat different musical format. However, Venosta’s string-driven transcription of Univers Zéro’s iconic “Presage”, while undoubtedly faithful to the spirit of the original, cannot fully convey its hauntingly martial allure, and the absence of Daniel Denis’ imperious drumming diminishes the impact of the final product . On the other hand, the more recent compositions seem to be much more suited to the minimalistic chamber format – starting with Francesco Zago’s jagged, intricate “Brachilogia7”, led by Galante’s sharp-toned piccolo. Massimo Giuntoli’s brisk, almost upbeat piano lends a sense of fullness and rhythm to “Land Arf”, whose melancholy middle section showcases Andrea Pecolo’s violin to great effect. Galante’s own composition “Distillando” (originally commissioned by the History Museum of the north-eastern Italian city of Trento) is sparse and almost ethereal in spite of the piercing tone of the piccolo, while the lilting tango of Tiziano Popoli’s “Crossroads” reintroduces a measure of melody in its engaging duet between violin and reeds. “Luoghi Che Aspettano”, penned by Stefano Zorzanello, closes the album with its ambitious but surprisingly effective combination of eerie dissonance and more upbeat, almost melodic flow. From the above description, it should be quite clear that Sonata Islands Goes RIO is not for everyone. Chamber music in itself can be an acquired taste even for classical music fans, and the daunting nature of anything bearing a RIO label has been discussed all too often in this blog. However, the sheer excellence of the individual performances and the often riveting quality of the music should be enough to attract open-minded listeners who are looking for something more challenging than traditional progressive rock. Needless to say, the album will delight fans of RIO/Avant Prog and contemporary chamber music.